Early-1960s downtown Burlington. Almy’s, Mr. Donut, Esso visible. 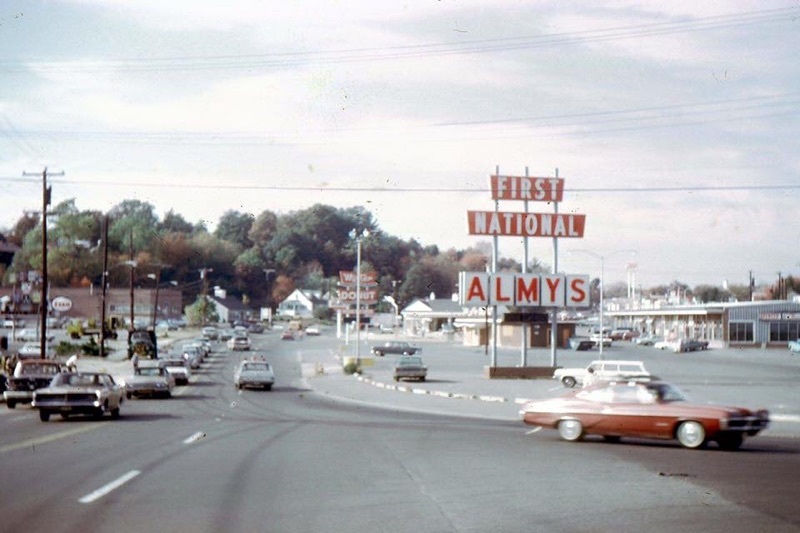 The little brown, boarded-up building just under the Almy’s sign is probably the former Flying Saucer restaurant, says Joe Galipeau Jr., whose father owned the restaurant.